Doug – Senator [Margaret Chase] Smith stood up to Senator Joe McCarthy when he nearly paralyzed government by accusing officials of being communists. At a great risk to her career she exposed him as a liar, when other members of congress were afraid to. Now, we believe the greatest threat to democracy is unlimited special interest money from corporations and lobbyists and unions that members of Congress rely on to win elections, they are influenced by it. 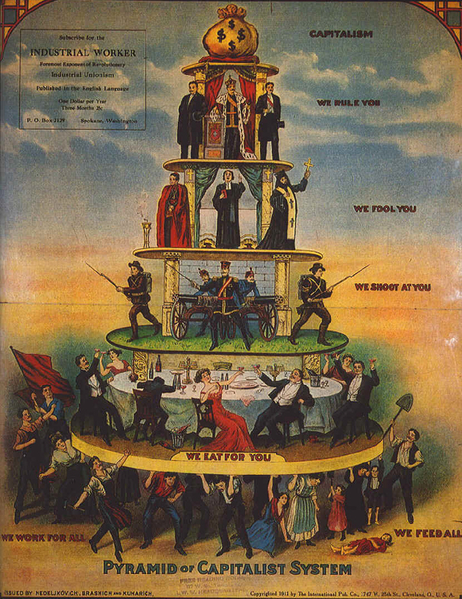 You know that 1% of Americans contribute 99% of all the money members raise to win elections. Senator – I don’t believe Congress is influenced by campaign contributions. I don’t think large contributions are a problem. Now, the Super PAC money might be a problem, its so huge, the ten million the Adelsons gave to Gingrich’s campaign…..though I don’t think that would influence Newt… Casinos? Senator – No its not like that. I am not influenced. At all. Most in Congress are not. (vigorous shaking of head). I’ve often wondered how a person in Senator Collins position could make this type of statement, a statement so clearly out of sync with prevailing public sentiments, and still feel as if the statement was an honest one. What rationalization would have to take place to allow the Senator a clear conscience with regard to the funds ALL Congresspeople must collect in our present broken and unfair campaign finance system to compete in elections? The following episode from a recent This American Life broadcast might supply an answer. The episode is called Take the Money and Run for Office. In it both senators and congress members describe the process they must use to collect needed campaign donations to stay competitive. The twist, though, for those that have in mind narrow-interest corporate lobbyists dangling campaign funds in front of hapless or easily influenced Congress members is in the fact that Congress members and their campaign staff are often the ones soliciting campaign funds, and an audience with a Senator or Congress person is more easily attained when the lubricant of campaign donations is present or at least promised. (Money is certainly not the only avenue to catch the ear of a senator or congress member, but it certainly helps.) A lobbyist’s office hasn’t returned funding raising phone calls from a Senator’s or Congress member’s office? Why should that senator or member make time in their busy schedules to hear what that particular lobbying firm has to say? If Senator Collins’ office initiates the fund raising call, and couples face-time with her to the success or failure of her outreach efforts does her influence over those she seeks funds from preclude or overshadow their influence over her decisions? Is this the rationalization that threads a twisted path through the thicket of influence buying and influence peddling that to the public seems obvious, pernicious, very suspect? Bundlers for candidates are given more easy access to successful candidates because through their fund raising efforts they become players, often seeking appointments to the many political appointment positions that successful candidates make upon winning office. You pay to play, or you watch from the sidelines. For the vast majority of people watching from the sidelines it is difficult to tell who is trying to buy influence and who is peddling influence. Take the Money and Run for Office captures some of how this system works and why it needs to be changed. 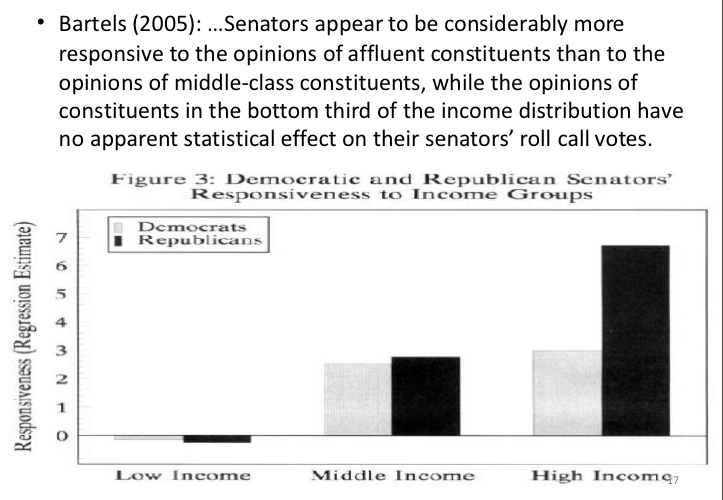 Economic Inequality and Political Representation (pdf), Larry M. Bartels, Department of Politics and Woodrow Wilson School of Public and International Affairs, Princeton University, August 2005. Let Mitt Show You How It’s Done: The Bain Capital Film, or, One Way the 1% do it to the Middle Class. When Mitt Romney Came to Town is, as advertised, a devastating expose of the business ethic behind this major presidential candidate, Mitt Romney. But it is much more than that. Former associate of Romney’s top strategists, Jason Killian Meath, produced the film and as the very effective former ad man for George W. Bush, is much, much less a populous advocate for the middle class as he is a political opportunist who trolled among Romney’s opponent’s campaigns looking for someone, anyone, to take up this film. The failing Gingrich campaign reportedly paid top dollar for the rights as it now disingenuously turns to strong populous rhetoric trying to present a populous message to America’s failing middle class and regain some of the campaign’s former traction. But the import of this film is more than just an attack by an opportunistic former insider, this is a how-to film exposing the ways the 1% have put it to, and continue to put it to, the American middle class. Mitt is just a symptom of this much larger disease.